Many students of the Wake Forest community have stepped up in recent weeks to promote appreciation for campus custodial staff members, a position which makes a large impact in the lives of students but one that frequently goes unrecognized. According to the preliminary results of a small survey conducted by seniors Alexandra Quick, Tanie Montalvo and Andrew Wiehe, 75 percent of students do not know the names of the custodians in their building, and less than half of students interact with their building’s custodians more than three times in a month. With the encouragement of Quick, Montalvo and Wiehe, a few resident advisors on campus have made flyers containing “get to know you” information about their building’s custodial staff and, in the spirit of the holiday season, have made “thank you” cards for students to sign. 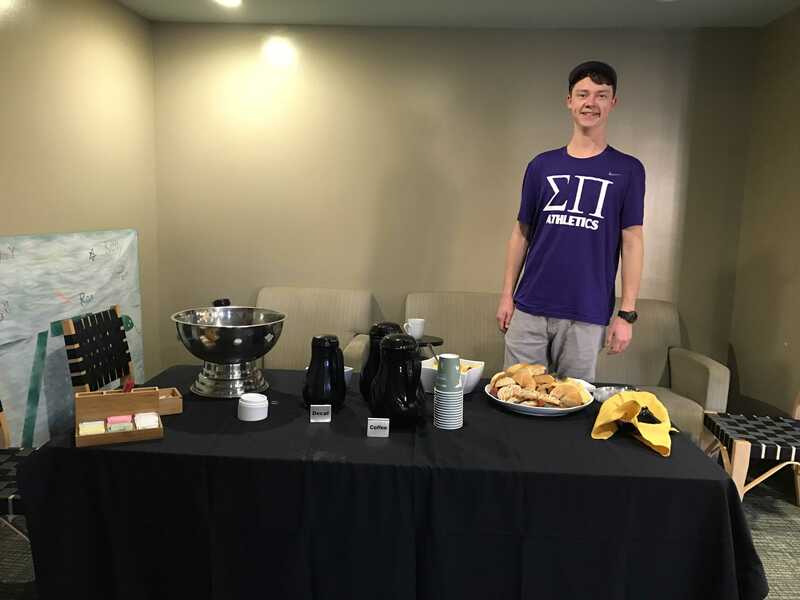 Sigma Pi fraternity members planned and hosted an appreciation breakfast last week with a donation from the Resident Student Association, offering early morning employees fruit and bagels and encouraging students passing by to write notes of thanks on a white board for custodial staff members to read. Tables were set up in Davis, Babcock, Poteat and Dogwood ensuring that the appreciation breakfast was available and accessible for staff members across campus. More than 30 students volunteered at the event, and nearly 50 cleaning and maintenance crew members attended. “It’s the least we could do for all they do every day to make our lives as smooth as possible,” junior Ben Mahoney said. Jane Barr, who works as a custodian in Taylor, was appreciative of the students’ efforts. The preliminary results of the survey, which was sent out a day after the appreciation breakfast by Quick, indicate that more than 90 percent of all students had not participated in any type of custodian appreciation activities in the current semester. Although she had not heard of the Sigma Pi appreciation breakfast event, Quick was supportive of the event and was impressed to hear that other students on campus see the same problem that her and her classmates are trying to address.